Contact City was a summer festival in London for Contact Improvisation. As part of the week programme, I was invited to co-lead outdoor workshops for contact improvisers. 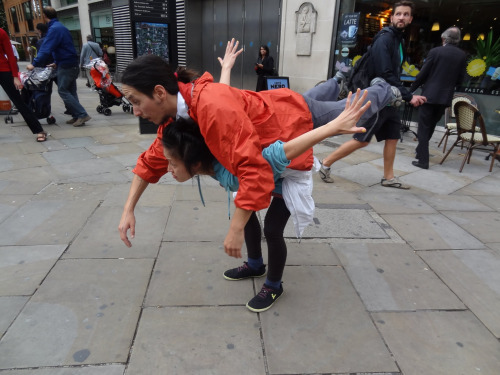 Myself, Sonja Bruhlmann and Melody Sacco facilitated dancers to come out of the studio and into the city – including a surprise ensemble appearance at the Notting Hill Carnival. We asked, what does our surrounding feel or look like in that state of open body and mind that we prepare for in a contact improvisation session? How much is needed to transform everyday reality?